Lewis was born in Tampa and moved to Atlanta in 1993 with his family. When he and his wife separated, he began drinking heavily and “enjoying” himself and the night life the city had to offer. While living on the streets, he was hit by a car which left him seriously injured. Despite his devastating encounter, he refused to change his habits and was involved in another incident that left him with a broken shoulder. 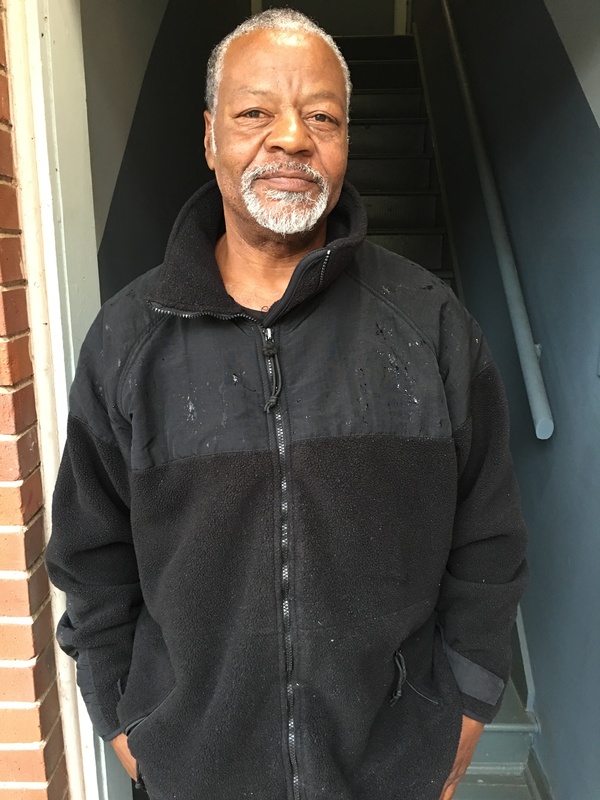 His frequent visits to the Emergency Room at Grady Memorial caught the attention of the staff and they called in a case worker who was able to connect him with Homes of Light. By being sober and able to regain his strength, Lewis has made great strides from where he began. He has been a model client, and became the house manager for one of our transitional units. He has been a figure some of the newer clients look up to, and makes it a point to help maintain peace and enforce the rules of the program. He now attends church every Sunday like clockwork and feels that has been the foundation of his recovery. “The only reason way I’m here is through his Grace,” he says. Being able to look back on the mistakes of his past with a clear mind has helped him make more productive life decisions, and realize the error of his ways. He plans to continue attending church and helping to guide those who have experienced similar trials.